1. Stock market investing vs. trading. Real stock market professionals understand that you cannot make money fast by investing into dividend paying stocks for the long haul. Stock trading is the only way for fast stock market investing success. The difference is your involvement and understanding how the stock market works, cyclical stock market changes, highs and lows of certain stocks, swing trading stocks and much more. Stock market trading focuses on acquiring stocks within specified low margins and selling them within specified high margins. Every stock is different and should be approached on a case by case basis. 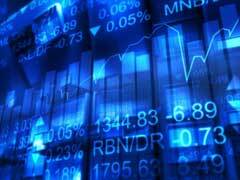 Before you begin, you need to find a knowledgeable stock or commodity trading broker. Another option is opening a brokerage account online through a series of reliable brokerage companies. 2. Get educated about the basics of stock market investing. One of the best approaches to learn about is Warren Buffet’s philosophies on becoming an investor. Warren Buffet does not only preach his investment principles, he also lives by them daily. Without knowing the basics, you simply cannot survive on the stock market for very long and risk losing all of your funds. 3. Understand the difference between fundamental and technical stock analysis. Before you rush in the highly volatile world of stock market investing, knowing these two types of stock analysis is a must. Technical analysis makes its goal to evaluate stocks focusing purely on their price and volume while fundamental analysis is centered on profound knowledge of economic stock trends, ability to analyze charts and financial data. If you are not familiar with these, do learn both methods before even considering buying stocks. 4. If you are an emerging penny stock trader, be warned that even due to seemingly low prices on penny stocks, these stocks are super high risk stocks due to the lack of information and performance history. You can still lose a lot of money over mere hours or days if you do not have a solid penny stock trading system in place. Study penny stock companies thoroughly, if you have trouble finding information about a company, walk away from these picks because you do not want to be stock gambling and investing blindly. It takes time and involvement to find penny stocks, if you do not have the time, you might be better off to staying with regular stocks. 5. Once you get the basics of stock market investing down to the bone, it’s time to automate the trading mechanism to remove your emotions out of the equation. Automated trading allows you to automatically buy or sell stocks once they reach certain specified by you criteria. Additionally, trading software allows you to significantly cut trading time and manage stock market investing risk. 6. Do not rely on hot stock picks even if they come from experienced investors like Jim Cramer without your own analysis of the stock market performance because these picks might be perfect for meeting their investment goals and not yours. Do your own technical analysis and performance evaluating to make sure these meet your short or long term goals. Young single investors vs. married older individuals have almost opposite investment goals and objectives; therefore relying on somebody else’s picks is not financially wise. 7. Do not invest in unknown to you sectors of economy. It’s a simple, yet effective advice to stick to. If you do not understand what the company is doing, you cannot make any prognosis on future performance. Buy stocks of companies you thoroughly understand, therefore, can analyze and make your own prediction. 8. Go against stock marketing trends just like Warren Buffet does it. When everybody is selling, perhaps you should consider buying some undervalued stocks for incredible potential earnings. And oppositely, when the stock market investors are buying and the prices are coming up, consider selling some stocks to make a profit. 9. Understand the intrinsic value of a stock market company. You cannot achieve the knowledge of understanding the absolute lowest value of a company’s stock overnight but with time and continuous personal education, you will be able to identify stocks at rock bottom market prices and buy them. This analysis is done through careful research and analysis of several similar market sector companies, their performance charts and financial data. Opting for companies with a history is a must, this way there’s a track record to examine and make a prediction. Emerging market stocks might not be the best option for investment, however, some high risk investor prefer such picks for high risk – high return reasons. 10. Look for stocks with an ”edge”! Various factors can give a certain stock an edge, mainly, special one a kind product development, high competition edge, license requirements or something that the company has that the rest cannot achieve easily or hard for competitors to replicate. When Should I Consider Stock Market Timing Strategy?